Our Creator doesn't respond to tears; He doesn't respond to pain; He doesn't respond to trouble in and of itself; He's never responded to heartache. He only responds to faith ... to unconditional trust in Him. Faith ... this is what moves the hand of God. A person can demonstrate that faith in many ways, one of which is in prayer, if and when they begin their prayer with thanks for all the many blessings (so that their thanks always outweighs their petition), then ask God to help them with a certain problem with which they need His help, telling Him that all things are possible with Him, that answering this prayer will be for His greater glory (and the glory of His Son, if they're a Christian), and then (this is important) THANK HIM for sending the answer, believing that it's already signed, sealed, and on its way. This is the prayer of faith. And God will act in some way in response to this manner of praying when it's offered with a contrite heart [See blog, The Power Of Prayer, Parts I-III] ... and it may come sooner than expected and not in the way expected. In the case of those involved in the music ministry, the hymns they play are another means of praying in faith. It's the Benedictine ethos: "Orare est laborare, laborare est orare" ... to pray is to work, to work is to pray [See blog, The Benedictine Ethos]. Someone who works, by the very work itself, prays to God, if (s)he be not irreligious. So therefore, if you know of someone in the hospital ... let's say a friend or family member or maybe an acquaintance who's seriously ill or recovering from major surgery ... then find out if they have a favorite hymn and offer to play that hymn for them every day until they're home again. This gesture is as much of a prayer to God as getting on your knees, folding your hands, and using the spoken word. 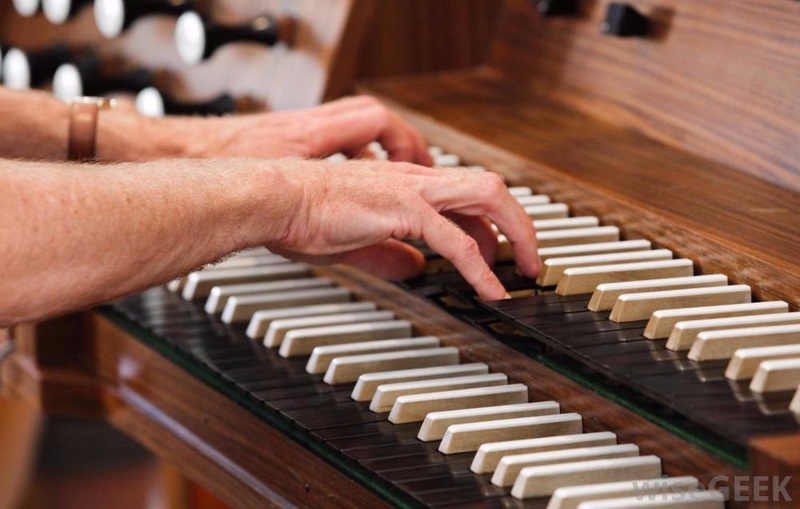 There are many ways of praying, this is just one of them, but only an organist can offer up this kind of prayer. That musician will, of course, hear it ... and God will hear it, too [See blog, Bus Station].